How to Design Your Workplace to Excel! | SeibCo, LLC. Leaders can design workplaces that values and respects people, and promotes opportunities for everyone to excel. How to Design Your Workplace to Excel! Designing your workplace to excel goes beyond the physical layout of the work space and its location. While these are very important components to consider, the design and development of the company’s culture are often overlooked. (Yes, everyone has a say.) As the leader, you are responsible for a workplace that values and respects people, and promotes opportunities for everyone to excel. 1.Each and every employee is important. Set aside your biases, and value each employee’s contribution. Playing favorites, offering the best opportunities to only a few and dismissing employees’ ideas will hurt workplace morale and team spirit. Design reward programs for both teams and individuals that acknowledge everyone’s efforts. 2.Focus on Work Skills. First, judging work quality and quantity is important. When problems occur, focus on the job skills required, not on the person’s personality. 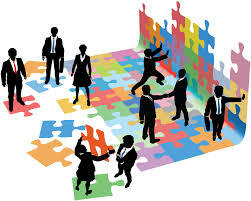 Provide specifically focused training and development programs designed for each person’s needs. 3.Provide Soft Skills Training. Communication, problem-solving, negotiation, critical thinking and other soft skills training is often overlooked. In addition to offering it, provide internal mentors who can be a sounding board for employees and help them fine-tune these skills. Hire an executive coach to guide the resolution of project management challenges and resolve management and leadership snafus. 4.Follow Company Policies. They were designed for a reason … to establish a strong foundation for everyone’s success. They reflect the company’s values, mission and work rules, so it’s important for you and your team to follow them! Be open to expanding on them as needed, when it’s in the best interest of the company. 5.Be a Positive Example. Your leadership style, communication skills and ability to pull together your team are important. Participate in leadership workshops and continue to improve your skills, expand your perspective and be responsible for how, when and why you make changes in your company. 6.Plan Your Work and Work Your Plan. Changing for the sake of change rarely works, and even worse, it can hinder your workplace’s ability to excel. Provide clarity on work assignments and management expectations. This allows employees to feel confident and competent in handling their daily work activities, sharing ideas and developing their skills. 7.Select the Right Person for the Right Job. Job fit is the No. 1 reason employees will excel or fail in their work activities. When your people have work responsibilities that fit their thinking style, core behaviors and occupational interests, they will communicate better, be a valued member of the team and help customers resolve their issues the first time. Remember, a well-designed strategic selection process that objectively recognizes job fit is critical in determining if a person can and will do the job successfully. Don’t forget to customize onboarding and learning and development opportunities to personally and professionally grow each employee. Design a workplace where everyone can excel to make it a culturally rewarding place to work! Need a speaker or facilitator to successfully address company issues? Which of the seven key elements have you been ignoring that need to be resolved for a successful 2018? Contact Jeannette Seibly. She will provide confidential, laser-focused coaching that works! Jeannette Seibly has been called a catalyst. She is celebrating 25 years as a business coach, advisor and consultant who guides her clients to achieve unprecedented results. Remember, everyone has a say when designing a workplace that promotes positive interactions, teamwork and learning and development opportunities. Check out her website , or contact Jeannette for a free confidential conversation.